What do you mean Doug? Mess? What Mess? 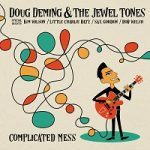 EllerSoul Records is proud to release the new album from guitarist Doug Deming called Complicated Mess, out on October 19, 2018. Along with his road band and some great guests, this album is Deming’s most courageous effort to date, combining traditional blues, jazz, swing, soul and R&B. Delivered in style with ten original Deming tunes along with three familiar covers of Fats Domino, Sam Theard, and the late great Lazy Lester. Complicated Mess is sure to set music fans on fire. “EllerSoul Records is excited to be working with Doug on his new recording. It is something we’ve talked about for some time, and the timing finally worked out for us. Doug is just the type of musician/person that EllerSoul is proud to work with. Doug is a deep blues performer, he knows and understands the language. Both vocally and on that ‘killer’ blues guitar,” says Ronnie Owens, EllerSoul Records. Doug Deming is an American blues and roots guitarist/vocalist, born and raised in the Detroit area, currently residing on the Gulf coast of Florida. Doug is the 2013 recipient of the Blues Blast Music Awards’ Sean Costello Rising Star Award. Drawing influence from greats like T-Bone Walker, Charlie Christian and Robert Jr. Lockwood, Doug’s traditional taste and style are evident in his original music, with three recordings of primarily original tunes to his credit. Throughout his 20+ year career Doug has enjoyed touring and recording with many top blues artists, including Kim Wilson, Gary Primich, Lazy Lester, Alberta Adams, AC Reed and Johnny “Yard Dog” Jones to name a few; as well as with his own band featuring various artists such as Greg “Fingers” Taylor, Terry Hanck, Steve Guyger, and Dennis Gruenling. 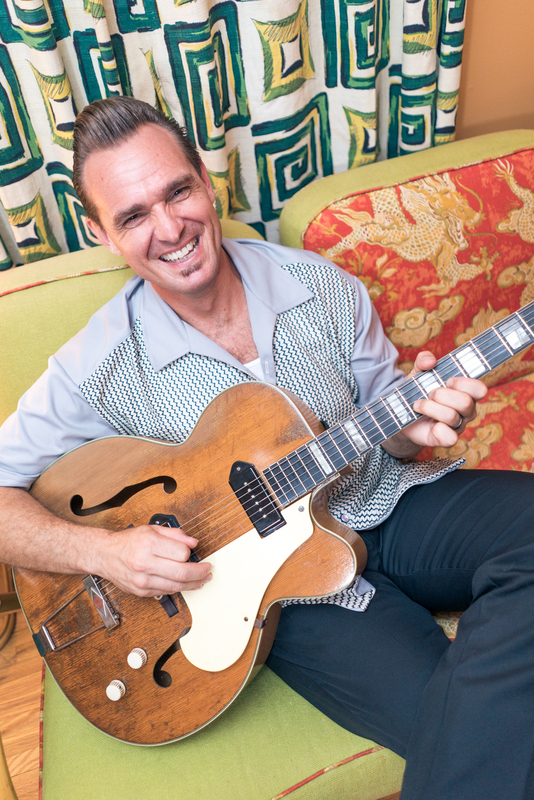 Doug Deming & the Jewel Tones play traditional blues, West Coast and Texas swing, and early 50s roots rock. This is real deal rocking’ rhythm & blues! “I first heard and met Doug several years ago, and we have since become good friends. We’re definitely on the same page musically as our taste in music are pretty much identical. It ain’t retro, it ain’t old school, it’s ‘The School.’”- Ronnie K. Owens, EllerSoul Records. “COMPLICATED MESS” is a stripped down 60’s Chicago blues – inspired tune featuring just the trio. I intended to produce a primarily guitar-focused record. This tune set the pace for that ideal and ended up being the title track. With “DEEP BLUE SEA” I was trying to recreate some of the magic of Buddy Guy’s Vanguard recordings from the 1960’s, and particularly the interplay between Buddy Guy and Otis Spann. When writing “SWEET POISON,” I was looking to capture the swamp blues feel of the Excello Recordings out of Baton Rouge, LA in the 50s and 60s. This song was written specifically for chromatic harmonica, which Kim Wilson just nails here. “HOLD ON” is a stylistic departure from the norm for me. Here I’m delving into the R&B genre much deeper than I have before. Catch him if you can: Doug Deming & The Jewel Tones – On The Road! Olivia Kellman is going her own way and on her own terms!